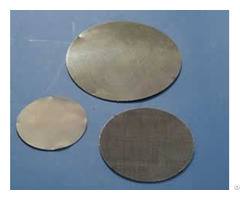 Candle Filters for polymer melt can be pleated in the body with several end types. 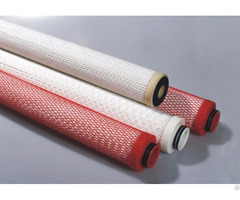 Made of woven filter wire mesh cloth or sintered fiber web imported, candle filter elements offer ideal property for polymer melting processing in chemical and fiber industries . The supportive inner layer is fabricated of galvanized perforated sheet metal. 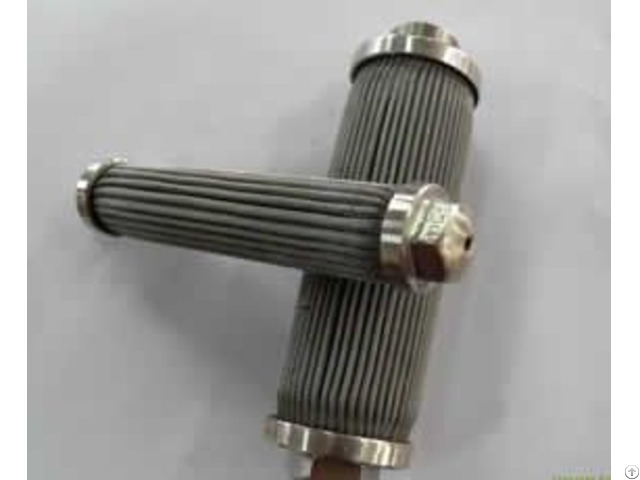 Galvanized wire mesh is pleated to support the filter media. For more rigorous applications, a second layer of wire mesh is placed on the outside of the pleated filter media for back washing environments. 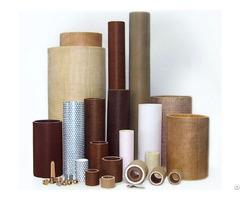 Filter media are available in a variety of micron ratings and efficiencies. Commonly used are polyester felts, woven wire mesh or sintered metal. The filter media is cleanable at the job site. Sewn end style filters are used in applications where chemical compatibility and temperature concerns dictate the style of filter. For more aggressive environments, this style can be constructed with stainless steel parts and high temperature media. Metal end caps are available in a variety of configurations and styles. One style consists of one open end and one closed end with a bolt hole, while another variety is a double open end. Standard construction consists of a perforated or expanded core, made of galvanized carbon steel sheet metal. These cores surround either a pleated filter media or paper media.